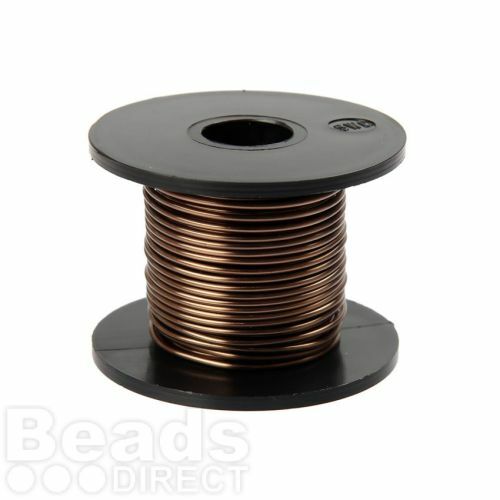 There is a hint of brown in this gunmetal coloured copper craft wire. Wire work jewellery making is a popular hobby that involves wrapping, bending, curving, twisting and framing the wire, plus a whole lot more. Try twisting two different colours of wire together to create dramatic effects. Thickness of wire measures approx. 0.9mm. Sold on a reel with 8metres of wire.